Professor Peter WF Smith is Professor of Social Statistics within Social Statistics & Demography at the University of Southampton. Peter has worked at the University for over 25 years. He obtained a First Class BSc in Mathematics in 1986 from Lancaster University, and returned there to complete a PhD in Statistics in 1990, having obtained an MSc in Probability and Statistics with Distinction in 1987 from the University of Sheffield. Peter has research interests in developing new statistical methodology, including methods for handling non-response and for modelling longitudinal data, and applying sophisticated statistical methods to problems in demography, medicine and health sciences. His publications include articles in the Journal of the Royal Statistical Society, Series A, B and C, Biometrika and the Journal of the American Statistical Association. 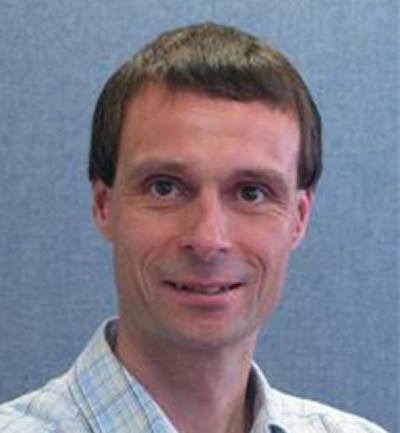 Peter was awarded the Royal Statistical Society Guy Medal in Bronze in 1999 and was Joint Editor of Series C of their Journal from 2013 to 2016. The UBhave project aims to investigate the power and challenges of using mobile phones and social networking for Digital Behaviour Change Interventions (DBCIs). A phase I-II feasibility trial of Cancer Carer Medicines Management (CCMM): an educational intervention for carer management of pain medication in cancer patients at end of life. The DIPSS (Integrating Digital Interventions into Patient Self-Management Support) project has received funding of £2 million from the NIHR to examine patient digital self-management with healthcare professional support in primary care. Our aim is to develop digital behaviour change interventions for asthma and hypertension self-management, which will be examined in feasibility studies and full RCT (hypertension only). Issues surrounding the feasibility, acceptability, effectiveness and cost-effectiveness of digital intervention delivery will be explored with patients and healthcare professionals for each condition. Moore, J. C., Durrant, G. D., & Smith, P. (Accepted/In press). Dataset representativeness during data collection in three UK social surveys: generalizability and the effects of auxiliary covariate choice. Journal of the Royal Statistical Society: Series A (Statistics in Society), 1-36. Shang, H. L., Smith, P. W. F., Bijak, J., & Wisniowski, A. (Accepted/In press). A multilevel functional data method for forecasting population, with an application to the United Kingdom. International Journal of Forecasting, 1-44. Latter, S., Hopkinson, J. B., Lowson, E., Duke, S., Anstey, S., Bennett, M., ... Richardson, A. (2014). Study protocol for a feasibility trial of Cancer Carer Medicines Management (CCMM): an educational intervention for carer management of pain medication in cancer patients at end of life. Working Papers in the Health Sciences, Summer. Islam, M. A., Padmadas, S. S., & Smith, P. W. F. (2010). Understanding family planning communication between husbands and wives: a multilevel analysis of wives’ responses from the Bangladesh DHS. Genus. Smith, P. W. F., & Clarke, P. S. (2005). Contribution to the discussion of Copas, J. and Eguchi, S. (2005) Model uncertainty and incomplete-data bias. Journal of the Royal Statistical Society, Series B.
Kendrick, T., King, F., Albertella, L., & Smith, P. W. F. (2005). GP treatment decisions for patients with depression: an observational study. British Journal of General Practice, 55(513), 280-286. Lang, J. B., McDonald, J. W., & Smith, P. W. F. (1999). Association-marginal modeling of multivariate categorical responses: A maximum likelihood approach. Journal of the American Statistical Association, 94, 1161-1171. McDonald, J. W., & Smith, P. W. F. (1995). Exact conditional tests of quasi-independence for triangular contingency tables: estimating attained significance levels. Journal of the Royal Statistical Society: Series C (Applied Statistics), 44(2), 143-151. Smith, P. W. F., & Mehta, C. R. (1995). Statistical software review. [Review of LOGXACT-TURBO]. Journal of the Royal Statistical Society: Series C (Applied Statistics), 44(1), 139-141. Smith, P. W. F. (1991). A review of MIM. Maths & Stats: The Computers in Teaching Initiative Centre for Mathematics and Statistics Newsletter, 2(2), 8. Davison, A. C., Smith, P. W. F., & Whittaker, J. (1991). An exact conditional test for covariance selection models. Australian Journal of Statistics, 33, 313-318. Smith, P. W. F. (1990). Discussion of the papers by Edwards, and Wermuth and Lauritzen (contributor). Journal of the Royal Statistical Society. Series B: Methodological, 52(1), 54. Smith, P. W. F., Berrington, A., & Sturgis, P. (2009). A comparison of graphical models and structural equation models for the analysis of longitudinal survey data. In P. Lynn (Ed. ), Methodology of Longitudinal Surveys (pp. 381-392). Chichester, UK: Wiley. Smith, P. W. F. (2003). Graphical modeling. In M. S. Lewis-Beck, A. E. Bryman, & F. T. Liao (Eds. ), The SAGE Encyclopedia of Social Science Research Methods Thousand Oaks, USA: SAGE. Smith, P. W. F. (2017). ADRC-E: making a methodological impact. In Proceedings of the 22nd GSS Methodology Symposium 2017: Methodology: Insight; Innovation; Implementation; Impact Office for National Statistics. Maslovskaya, O., Durrant, G., & Smith, P. W. F. (2017). Using call record data to investigate household response outcome: Evidence from understanding society data . Paper presented at Understanding Society Conference 2017, Colchester, United Kingdom. Maslovskaya, O., Durrant, G., & Smith, P. (2017). What do we know about mixed-device online surveys and mobile device use in the UK?. Paper presented at New Techniques and Technologies in Statistics, Brussels, Belgium. Maslovskaya, O., Durrant, G., & Smith, P. (2017). What do we know about mixed-device online surveys and mobile device use in the UK?. Paper presented at General Online Research Conference 2017, Berlin, Germany. Maslovskaya, O., Durrant, G., & Smith, P. W. F. (2017). What do we know about mixed-device online surveys in the UK?. Paper presented at 7th Conference of the European Survey Research Association (ESRA), Lisbon, Portugal. Maslovskaya, O., Durrant, G., & Smith, P. W. F. (2016). Using paradata and previous wave information to predict final outcome and length of call sequence in a longitudinal survey. Paper presented at 7th ESRC Research Methods Festival, Bath, United Kingdom. Maslovskaya, O., Durrant, G., & Smith, P. W. F. (2016). Using paradata and previous wave information to predict final outcome and length of call sequence in a longitudinal survey. Paper presented at 9th International Conference on Social Science Methodology (RC33), Leicester, United Kingdom. Correa, S., Durrant, G., & Smith, P. W. F. (2015). Assessing nonresponse bias using call record data with applications to a longitudinal study. Paper presented at Conference of the International Statistical Institute (60th World Statistics Congress), Brazil. Moore, J., Durrant, G., & Smith, P. (2015). Consent to data linkage in business surveys. Paper presented at European Survey Research Association Conference, Iceland. Barbosa, D., Durrant, G., & Smith, P. W. F. (2015). Interviewer effects on measurement error. Paper presented at Conference of the International Statistical Institute (60th World Statistics Congress), Brazil. Durrant, G., Maslovskaya, O., & Smith, P. WF. (2015). Modelling final outcome and length of call to improve efficiency in call scheduling. Paper presented at Conference of the International Statistical Institute (60th World Statistics Congress), Brazil. Barbosa, D., Durrant, G. B., & Smith, P. W. F. (2014). An investigation of interviewer effects on measurement error. Paper presented at Joint Statistical Meeting, United States. Durrant, G. B., Maslovskaya, O., & Smith, P. W. F. (2014). Analysing call record data in longitudinal surveys. Paper presented at 4th Panel Survey Methods Workshop, United States. Durrant, G. B., Maslovskaya, O., & Smith, P. W. F. (2014). Modelling final outcome and length of call to improve efficiency in call scheduling. Paper presented at Paradata Conference: From Survey Research to Practice, United Kingdom. Maslovskaya, O., Durrant, G. B., & Smith, P. W. F. (2014). Sequence analysis as a graphical tool for investigating call record data. Paper presented at Paradata Conference: From Survey Research to Practice, United Kingdom. Hopkinson, J., Hughes, J., Lowson, E., Richardson, A., Duke, S., Anstey, S., ... Latter, S. (2014). The development of an educational intervention for managing end of life pain medication: Cancer Carers’ Medicines Management. Poster session presented at The MASCC/ISOO International Symposium on Supportive Care in Cancer, United States. Maslovskaya, O., Durrant, G. B., & Smith, P. W. F. (2014). Using sequence analysis to investigate call record data in longitudinal context. Poster session presented at British Society for Population Studies, United Kingdom. Correa, S., Durrant, G., & Smith, P. W. F. (2014). When to stop calling? Using call record data to assess nonresponse bias in a longitudinal study. Paper presented at 25th International Workshop on Household Survey Nonresponse, . Vassalo, R., Smith, P. W. F., & Durrant, G. B. (2013). Assessing the relative importance of current and previous interviewers on wave nonresponse in longitudinal surveys. Paper presented at European Survey Research Association Conference, Slovenia. Shang, H. L., Wisniowski, A., Bijak, J., Smith, P. W. F., & Raymer, J. (2013). Bayesian functional models for population forecasting. Joint Eurostat/UNECE Work Session on Demographic Projections, Italy. Maslovskaya, O., Durrant, G., Smith, P. W. F., & D'Arrigo, J. (2013). Investigating call record data using sequence analysis: some practical considerations . Paper presented at nternational Workshop on Household Survey Nonresponse International Workshop on Household Survey Nonresponse, United Kingdom. Maslovskaya, O., Smith, P. W. F., & Padmadas, S. S. (2013). Measuring HIV knowledge in China: simple score and latent class variable approach. Paper presented at European Survey Research Association Conference, Slovenia. Durrant, G. B., Vassalo, R., Smith, P. W. F., & Goldstein, H. (2013). Modelling change of interviewer: effects on nonresponse in cross-sectional and longitudinal surveys. International Workshop on Explaining Interviewer Effects in Interviewer-Mediated Surveys, Germany. Durrant, G. B., Maslovskaya, O., & Smith, P. W. F. (2013). Modelling final outcome and length of call to improve efficiency in call scheduling. International Workshop on Advances in Adaptive and Responsive Survey Design, Netherlands. Durrant, G. B., Maslovskaya, O., Smith, P. W. F., & D'Arrigo, J. (2013). Using sequence analysis to better understand interviewer calling patterns: an example from the UK understanding society survey. Paper presented at European Survey Research Association Conference, Slovenia. Durrant, G. B., Maslovskaya, O., Smith, P. W. F., & D'Arrigo, J. (2013). Using sequence analysis to better understand interviewer calling patterns: analysing the UK understanding society survey. Paper presented at International Workshop on Household Survey Nonresponse, United Kingdom. Vassalo, R., Durrant, G. B., & Smith, P. W. F. (2012). A simulation study of the effect of sample size and level of interpenetration on inference from cross-classified multilevel logistic regression models. Paper presented at ESRC/NCRM Research Methods Festival, United Kingdom. D'Arrigo, J., Smith, P. W. F., & Durrant, G. B. (2012). Analysing and modelling paradata. Paper presented at E5th SRC/NCRM Research Methods Festival, United Kingdom. Durrant, G. B., Vassallo, R., Smith, P. W. F., & Goldstein, H. (2011). Interviewer effects on wave nonresponse in longitudinal surveys. Paper presented at European Survey Research Association Conference, Switzerland. Borgoni, R., Berrington, A., & Smith, P. W. F. (2003). Handling the effect of non-response in graphical models for longitudinal data. 81-86. Paper presented at SCO 2003 Conference: Complex Models and Computer Intensive Methods for Estimation and Forecasting, . Salgueiro, M. F., Smith, P. W. F., McDonald, J. W., Verbeke, G. (Ed. ), Molenberghs, G. (Ed. ), Aerts, M. (Ed. ), & Fieuws, S. (Ed.) (2003). Power of single edge exclusion in graphical log-linear models. 385-390. Paper presented at 18th International Workshop on Statistical Modelling, . Salgueiro, M. F., McDonald, J. W., & Smith, P. W. F. (2001). The observed association structure from graphical Gaussian models with a single latent variable. In B. Klein, & L. Korsholm (Eds. ), Proceedings of the 16th International Workshop on Statistical Modelling: New Trends in Statistical Modelling (pp. 347-354). Italy: UNIPG. Smith, P. W. F., & Whittaker, J. (1998). Edge exclusion tests for graphical Gaussian models. In M. I. Jordan (Ed. ), Learning in Graphical Models: Proceedings of the NATO Advanced Study Institute, Ettore Maiorana Centre, Erice, Italy, September 27-October 7, 1996 (pp. 555-574). Dordrecht: Kluwer Academic. McDonald, J. W., Smith, P. W. F., & Forster, J. J. (1996). Markov chain Monte Carlo exact tests for logistic regression models. In A. Forcina, G. M. Marchetti, R. G. Hatzinger, & G. Galmacci (Eds. ), Proceedings of the 11th International Workshop on Statistical Modelling (pp. 267-274). Statistical Modelling Society. Smith, P. W. F., & McDonald, J. W. (1994). Simulate and reject Monte Carlo exact conditional tests for quasi-independence. In R. Dutter, & W. Grossman (Eds. ), Proceedings of COMPSTAT 1994 (pp. 509-514). Heidelberg, Germany: Physica-Verlag. Smith, P. W. F. (1992). Assessing the power of model selection procedures used when graphical modelling. In Y. Dodge, & J. Whittaker (Eds. ), Computational Statistics: Proceedings of the 10th Symposium on Computational Statistics: COMPSTAT Neuchatel, Switzerland, August 1992 (pp. 275-280). Heidelberg, Germany: Springer. Whittaker, J., Iliakopoulos, A., & Smith, P. W. F. (1988). Graphical modelling with large numbers of variables: an application of principal components. In D. G. Edwards, & N. E. Kaun (Eds. ), Proceedings of COMPSTAT 1988. Copenhagem, Denmark, 29 August - 2 September (pp. 73-79). Heidelberg, DE: Physica-Verlag. Berrington, A., Smith, P. W. F., & Sturgis, P. (2006). An overview of methods for the analysis of panel data. (NCRM Methods Review Papers; No. NCRM/007). Southampton, UK: National Centre for Research Methods, School of Social Sciences, University of Southampton. Berrington, A., Diamond, I., Ingham, R., Stevenson, J., Borgoni, R., Cobos Hernández, M. I., & Smith, P. W. F. (2005). Consequences of teenage parenthood: pathways which minimise the long term negative impacts of teenage childbearing. UK: Department of Health. Borgoni, R., Berrington, A. M., & Smith, P. W. F. (2004). Selecting and fitting graphical chain models to longitudinal data. (S3RI Methodology Working Papers; No. M04/05). Southampton, UK: Southampton Statistical Sciences Research Institute. Clarke, P. S., & Smith, P. (2003). Results on point and interval estimation for log-linear models with non-ignorable non-response. (S3RI Methodology Working Papers; No. M03/23). Southampton, UK: Southampton Statistical Sciences Research Institute. Durrant, G., Maslovskaya, O., & Smith, P. W. F. (2016). Using prior wave information and paradata: Can they help to predict response outcomes and call sequence length in a longitudinal study? Southampton, GB: University of Southampton. Correa, S., Durrant, G., & Smith, P. (2015). Assessing nonresponse bias using call record data with applications to a longitudinal study. Southampton, GB: University of Southampton. Vassallo, R., Durrant, G., & Smith, P. W. F. (2015). Assessment of multiple membership multilevel models: an application to interviewer effects on nonresponse. Southampton, GB: University of Southampton. Moore, J., Durrant, G., & Smith, P. W. F. (2015). Dataset representativeness during data collection in three UK social surveys: generalizability and the effects of auxiliary covariate choice. Southampton, GB: University of Southampton. Durrant, G. B., Maslovskaya, O., & Smith, P. W. F. (2014). Sequence analysis as a tool for investigating call record data. Southampton, GB: University of Southampton. Vassallo, R., Durrant, G. B., & Smith, P. W. F. (2014). Using multilevel cross-classified models to separate area and interviewer effects: how much cross-classification is needed? Southampton, GB: University of Southampton. Shang, H. L., Smith, P. W. F., Bijak, J., Wisniowski, A., & McGowan, T. (Ed.) (2013). A functional data analysis approach for forecasting population: a case study for the United Kingdom. (ESRC Centre for Population Change Working Paper Series; No. 41). Southampton, GB: ESRC Centre for Population Change. Shang, H. L., Smith, P. W. F., & McGowan, T. (Ed.) (2013). Grouped time-series forecasting with an application to regional infant mortality counts. (ESRC Centre for Population Change Working Paper Series; No. 40). Southampton, GB: ESRC Centre for Population Change. Berrington, A., Borgoni, R., Smith, P. W. F., Ingham, R., & Stevenson, J. (2010). Life course determinants of poor psychosocial health in adulthood: young motherhood as a mediating pathway. (S3RI Working Papers Applications and Policy; No. A10/03). Southampton, GB. Salgueiro, M. D. F., Smith, P. W. F., & McDonald, J. W. (2007). The manifest association structure of the single-factor model: insights from partial correlations. (S3RI Methodology Working Papers; No. M07/07). Southampton, GB: University of Southampton. Ekholm, A., Jokinen, J., & Smith, P. (2006). A latent class model for bivariate binary responses from twins. (S3RI Methodology Working Papers; No. M06/10). Southampton, UK: University of Southampton, Southampton Statistical Sciences Research Institute. Salguiero, M. D. F., Smith, P. W. F., & McDonald, J. W. (2006). Connections between single-factor analysis and graphical Gaussian models. (S3RI Methodology Working Papers; No. M06/13). Southampton, UK: Southampton Statistical Sciences Research Institute. Berrington, A., Hu, Y., Ramirez-Ducoing, K., & Smith, P. (2005). Multilevel modelling of repeated ordinal measures: an application to attitudes to divorce. (S3RI Applications and Policy Working Papers; No. A05/10). Southampton, UK: Southampton Statistical Sciences Research Institute. Salguiero, M. F., Smith, P. W. F., & McDonald, J. W. (2005). Power of edge exclusion tests for graphical log-linear models. (S3RI Methodology Working Papers; No. M05/09). Southampton, UK: Southampton Statistical Sciences Research Institute. Magadi, M., Diamond, I., Madise, N., & Smith, P. (2003). Pathways of the determinants of unfavourable birth outcomes in Kenya. (S3RI Applications and Policy Working Papers; No. A03/03). Southampton, UK: Southampton Statistical Sciences Research Institute. Salguiero, F., Smith, P., & McDonald, J. (2003). Power of edge exclusion tests in graphical gaussian models. (S3RI Methodology Working Papers; No. M03/02). Southampton, UK: Southampton Statistical Sciences Research Institute.